Ready for summer wedding goodness? We sure are! This summery treat is a quick DIY project and a great customized addition to your wedding day. 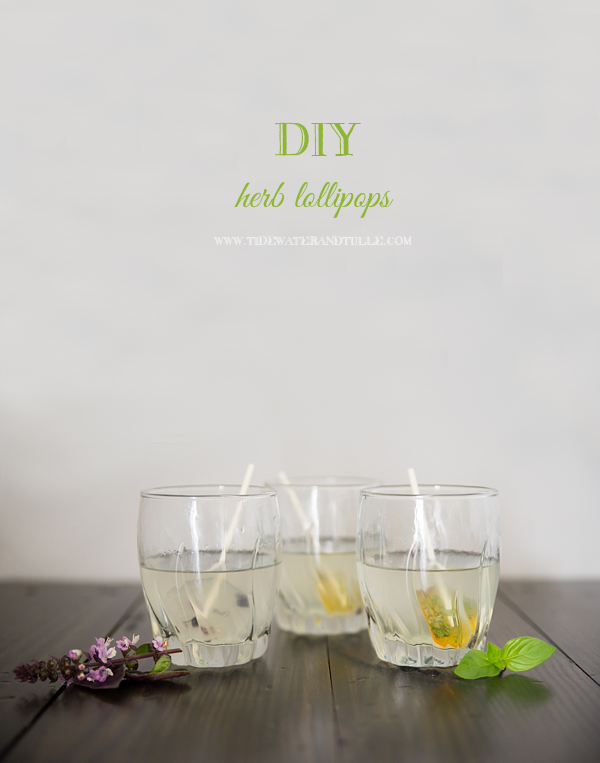 All thanks to DIY guru and vendor fam Caitlin of Caitlin Gerres Photography, we're featuring these herb lollipop drink stirrers for this month's DIY project. Not having lemonade or iced tea at your wedding or bridal shower? These sweet cuties would also make perfect favors or even place card holders. Take if off the heat and mix in your flavoring and herbs. This gives the mixture a few seconds to cool. When it's no longer bubbling, pour into your molds. Allow to cool about a hour. If you're not serving them right away, wrap in plastic favor bags and store in fridge or cool dry place. 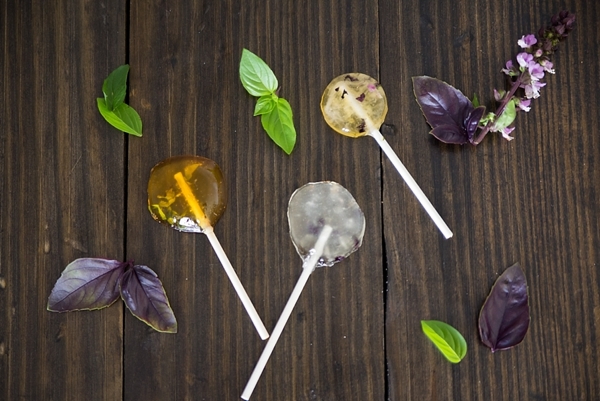 If you want to make clear lollipops, watch for the hard-crack stage very carefully. The sugars start to caramelize shortly after reaching the hard-crack stage, so you'll end up with honey-colored lollipops if it boils too long. But those are pretty too! If you're making a large quantity, make individual batches instead of doubling to prevent the mixture from hardening before you get it all poured. You could also make several different batches to get a range of different flavored lollies. 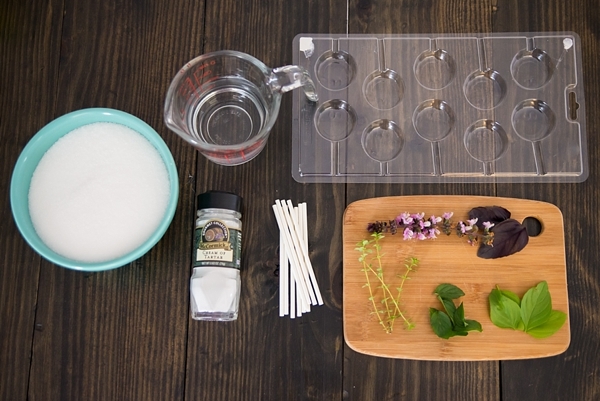 And the possibilities for these herb lollipops are just about endless. Vanilla mint, strawberry basil, honey lemon rosemary... just about any combination of fruit, herbs, and extracts that you can dream up. The flavors I photographed are purple basil and basil and lemon. And they would be great in more than just lemonade. Herb lollipops would be great additions to cocktails or tea, which makes this a very versitale DIY project. Whether you're making them for a tea party bridal shower or adding them to cocktails at your rehearsal dinner, your guests will be talking about (and instagramming) your deliciously cute lollies. All photos and tutorial created by Caitlin Gerres. Some of the above product links were the actual products I used and purchasing through these affiliate links helps support future DIY projects. You can find our full affiliate disclosure policy here on Tidewater and Tulle.